Our Pet Homes are made to animal welfare size guidelines. Wow! This is a beautiful cage. It is very well made, easy to put together and spacious. The perfect home for my piggies… First class product and first class customer service. Great design, solidly built and nicely finished. My Syrian hamster, George, seems so much happier. 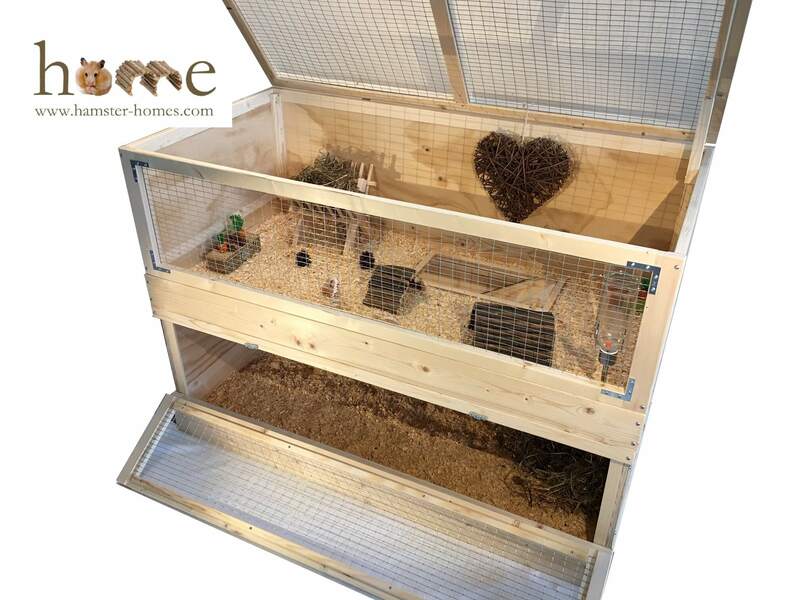 Looks absolutely fab… and my Guinea pigs love it. Worth every penny! Delighted with our new cage! The instructions for assembly couldn’t have been easier. The hand crafted wooden hutch looks and smells wonderful. Hamster Homes is a company producing thoughtful, beautifully made goods that will last a lifetime.